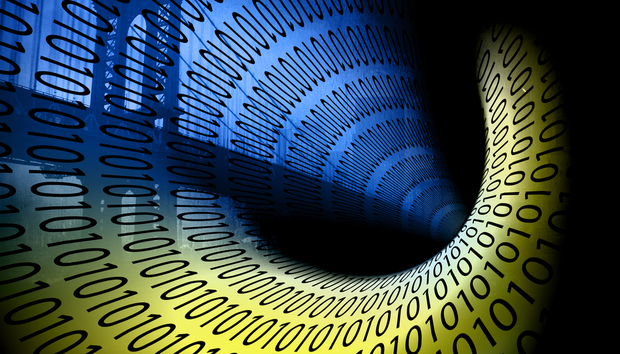 Big data and data analytics will be key to the future of the UK’s Digital Economy. New, innovative tools are helping more and more businesses unlock the value of the increasing amounts of data being created every day. To ensure the UK seizes the opportunity to lead the world in data driven economic growth we need to understand the specific skills and capabilities that are needed. Requirements go beyond the simple definition of data scientists. techUK’s latest paper, ‘Understanding, Demystifying and Addressing the UK’s Big Data Skills Gap’ identifies the skills required across a big data supply chain and highlights areas where there is the biggest skills deficit. It then makes a number of recommendations relating both to the domestic skills pipeline and the UK’s continued ability to attract some of the best talent from around the world. The paper mapped the eight key roles and skill sets required to successfully implement a big data strategy. These requirements go beyond just data scientists. More important than job titles, the paper also identifies the different skills which contribute to the big data and data analytics ecosystem, and examines where the big data skills gap lies. Through analysis of current unfilled vacancies, it was identified that, contrary to popular belief, Data Analysts, Data Infrastructure Engineers and Solutions Architects are all currently in higher demand than Data Scientists. Data scientists alone do not deliver entire Big Data strategies. The UK needs a diverse skills base to benefit from the big data revolution. It is clear that action must be taken to address the UK’s big data skills gap to fulfil the skills requirements across the big data supply chain, beyond that of Data Scientists. Based on these findings, techUK made five recommendations to unlock the value of big data to the UK economy. Data Analysts, Data Infrastructure Engineers and Solution Architects should feature prominently on any future Government preferred shortage occupation list, joining Data Scientists. In light of the UK’s decision to leave the European Union, the Government must determine the best method to amend the migration system to ensure the UK still attracts talent it lacks domestically. This requires a new ‘Smart Migration’ policy, which allows firms to access the international big data talent they need to grow. Importantly, big data and data analytics experts must feel they are welcomed and valued in the UK. To overcome the skills gap, we need a model of reverse mentoring, whereby young skilled IT professionals teach existing staff new skills. Where re-training requires skills that fall out of the scope of existing apprenticeship standards, organisations can become “trailblazers” and create a new standard aimed at re-training people in highly technical data skills. The Department for Education must work to ensure there is more uptake of higher-level apprenticeships from a younger age with the forthcoming Apprenticeship Levy. In its current form, the Levy is not an effective route to re-skill existing individuals in the workforce into data analytics roles, but it can be a great stepping stone for first-time employees. Therefore, more must be done to focus on these higher-level skills. Programming and Analytics should be introduced earlier in the school curriculum. As well as being able to attract international talent, the UK must grow its domestic talent pipeline to ensure we have a future generation with the right skills to continue the innovation necessary to maintain the UK’s reputation as a big data and data analytics leader. Promote the value & importance of Big Data and Data Analytics to the UK’s economy and society in order to inspire future industry leaders. Industry and Government should do more to explain the contribution of big data and data analytics to the UK’s economy and society in order to inspire future industry leaders. At an event to launch this new paper two clear priorities were identified to tackle the skills gap. Firstly, careers advice needs to be significantly improved. A whole generation of young people must be inspired into considering a career in big data and data analytics. Careers in big data need to be highlighted as options if we are to create the talent pipeline that will allow us to fill future vacancies in these areas. Secondly, the ability of smaller organisations to gain access to the big data skills, where internal training programmes or hiring large numbers of staff may not be plausible, is a key challenge to be overcome. By delivering against the report’s recommendations, Government and industry can work together to ensure that businesses of all sizes can access and develop the skills they need. The UK’s big data future is bright. To ensure it remains so, we must ensure we have the talent required to support the delivery of the big data revolution.